The Current Washington Administration signed a bill around a year ago that could create value is fighting back on the carbons we create from burning fossil fuels. The Section 45Q Tax Credit could change the way we look at building with more wood than steel even high rise buildings with mass timber CLT. The Section 45Q tax credit was designed for power plants. Besides the climate change and warming planet debate when the over populated planet needs shelters lets stick to wood in this debate as we all know trees sequester tons of carbon. 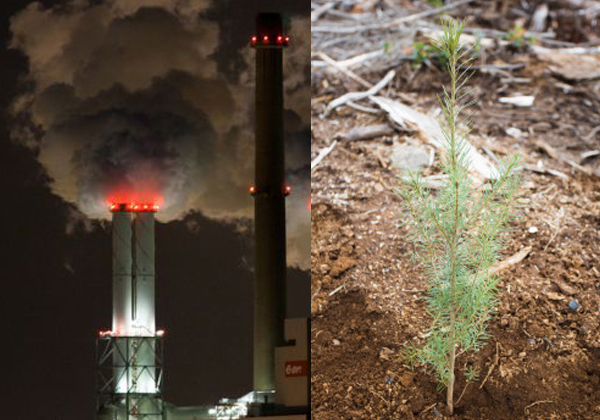 Trees in reforestation project factories sequester carbon dioxide from the air and make oxygen. This carbon sequestering process provides the support trees need to grow strong fiber to support our renewable sustainable resource lumber. Lumber helps us try and meet the demands for affordable shelter and houses in a carbon neutral way where steel produces carbon. The earth’s forests generously mop up about a quarter of the world’s fossil-fuel carbon emissions every year. The U.S. reforestation programs act as a huge carbon sequestering factory offsetting a valuable percentage of the emissions we create from all the fossils fuels we burn. M Fire has started a carbon credit project to present to this administration to prove this carbon credit could really kick start our builders to look real hard at moving more toward mass timber verses steel even for high rise buildings. The incentive to calculate a carbon credit value on all wood framed buildings because trees sequester carbon when we can now fire defend what the timber collected so it never released makes our renewable sustainable resource in reforestation factories really valuable. M Fire carbon project is supported by it Mighty Fire Breaker (TM) clean fire protection that would defend the carbon that is stored in lumber. If this M Fire Carbon Project helps to reward our builders with a carbon credit tax credit it would support the green movement better than the building industry has ever seen. Consider our great builders embracing fire protected Mass Timber CLT and High Density Fire Protected stick built project that would reward them a tax credit for defending lumber that has carbon storage that fie can no longer release the carbon stored in wood. This steel tariff and this carbon credit could create the best building movement we have ever seen especially for future generations air quality.